Week ninety five here already and after the excitement of last week, I browsed through Mary Berry’s Baking Bible looking for some more savoury recipes after the richness of last week’s recipes and I was wiped out by a migraine which set all my usual housework jobs back by a day. I settle on Mary’s crown loaf and griddle scones. I began the dough this morning , mixing all the ingredients together for the crown loaf and then spending five minutes kneading it before setting it into an oiled bowl to prove for 1 1/2 hours. After this time, the dough was nicely risen and I had to then knock it back and knead again, divide into 12 balls and set these inside a springfold tin and cover with clingfilm and leave to prove for another half an hour. Finally , once the last prove is done, bake in a hot over for 25 minutes and then turn out onto a cooling rack. 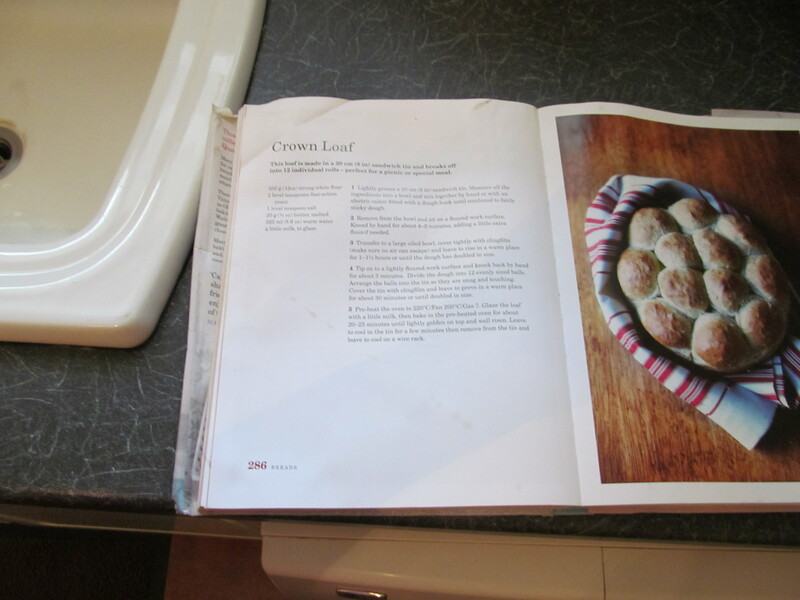 The crown loaf looked lovely and the smell of freshly baked bread is a winner in our house. 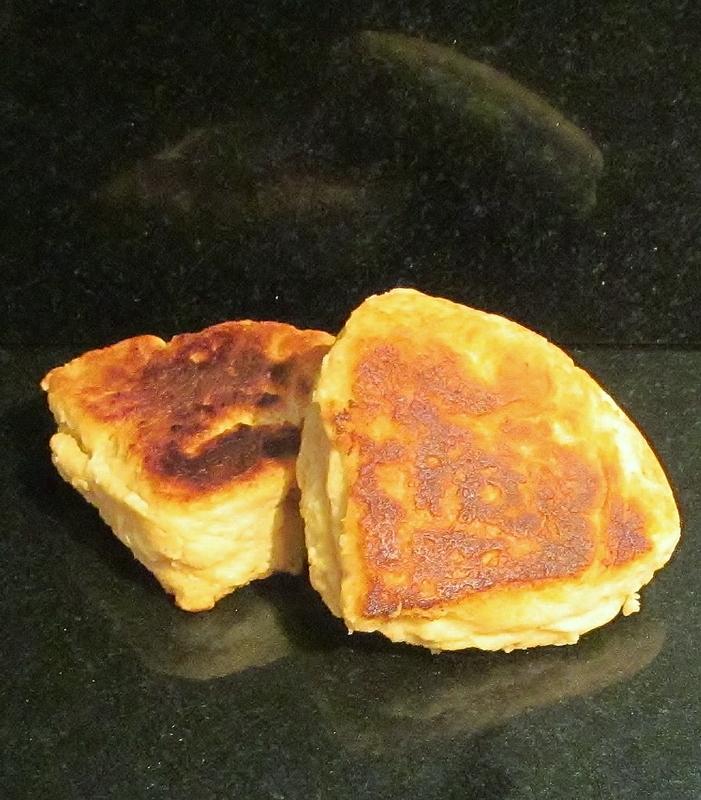 The second recipe was Mary’s griddle scones, these are thicker than drop scones and I followed Mary’s recipe carefully to make the dough, I then rolled it into a circle and cut into segments. I heated a heavy based pan and cooked the segments for about five minutes each side and left them to cool on a rack. 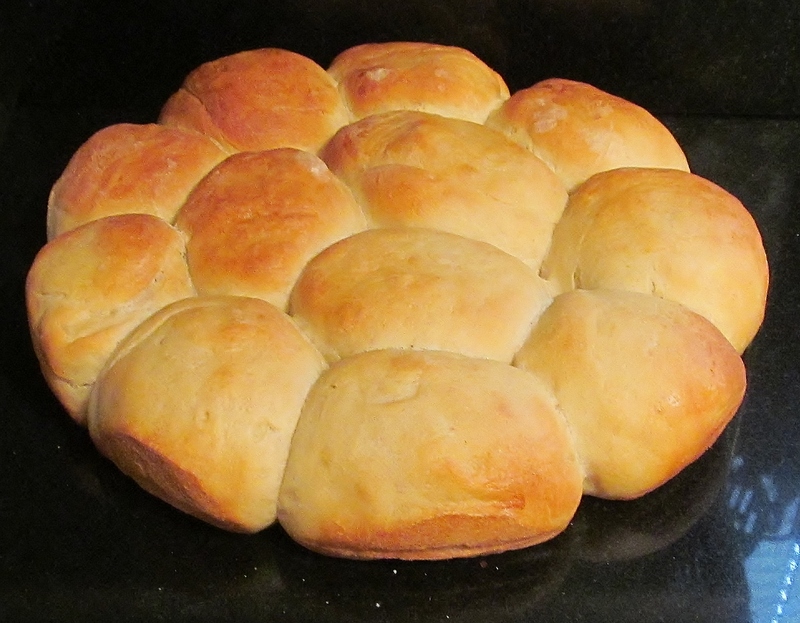 Mary suggests eating them fresh with butter but we ate some of the crown loaf first for lunch and look forward to these for supper. Sorry chief tasters, no sharing with you guys this week- but I am guessing that you are still wading through your dobaz torte from Thursday. The Great British Bake Off is coming up to quarter finals now and the three contestants I initially named are still in it so far- lets see how they do this week and if Mary has any more recipes I have yet to do? This entry was posted in Uncategorized and tagged Baking Bible, Bread, bread dough, crown, Crown Loaf, griddle, griddle scones, Kim, Kim's Crown Loaf, Kim's Griddle Scones, kims cake challenge, Loaf, Mary Berry, Mary Berry's Baking Bible, Mary Berry's Crown Loaf, Mary Berry's Griddle Scones, scones, yeast by kimsideas. Bookmark the permalink.